Did your coworker just hand you a Valentine’s Day card and you had no idea that gift exchanges at work were a thing? Or, did your kid just remind you that you still needed something for their teacher after you’ve scribbled his or her signature across 100+ store bought cards that came out of a little cardboard box? I’ve been there. Blame it on memory, lack of sleep, or just plain aversion to this one particular day. You forgot. No big deal! 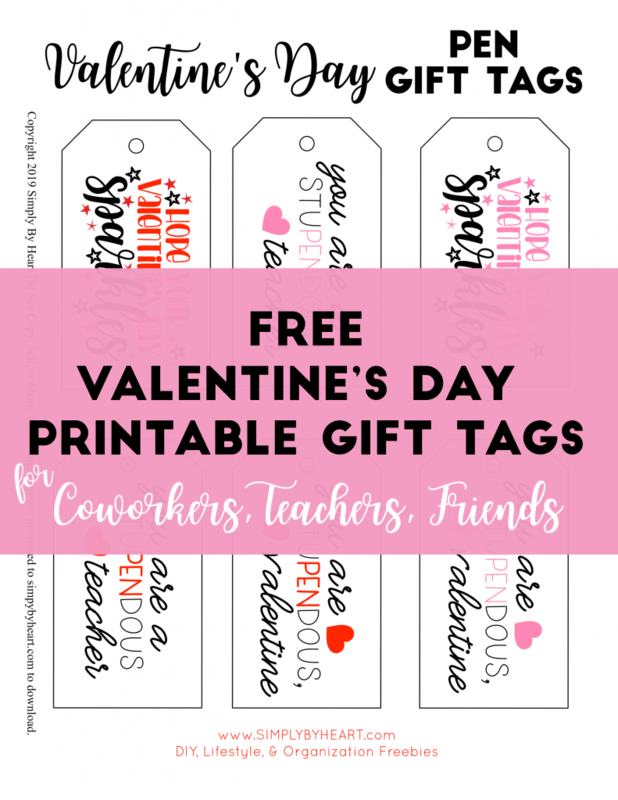 Here is a quick last minute valentine’s day gift idea for teachers, coworkers, and friends. When considering a gift for coworkers, teachers, or friends – you can totally buy chocolate or another mug. But it would be even more considerate to purchase something that can be used and useful. The first things that comes to most people’s minds is socks… but, let’s try to think a littler deeper. What would your boss need to continue to sign off on vacation requests, or how about your kid’s teacher that has to write those reminders to ‘other’ parents about classroom misbehavior? You see where I’m going here. A pen favorite amongst my circle of friends is PenGems pens. I was inspired to create gift tags for these beauties and Valentine’s Day would be a good time to start. These are easy to cut and attach. Use ribbon or tape to add something special. 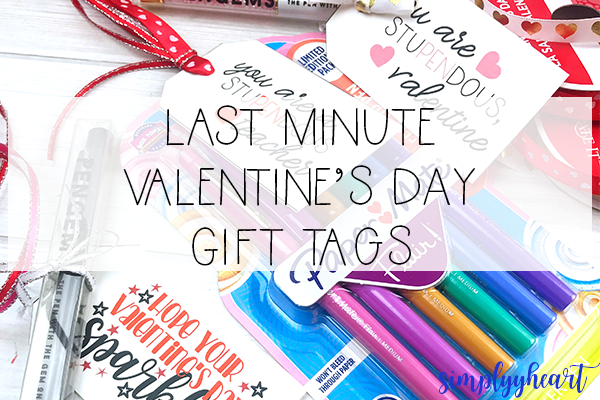 You can write your name on the back or front of these last minute Valentine’s Day gift tags. 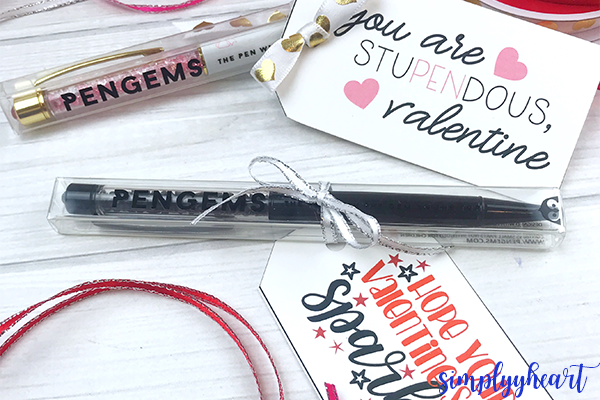 Save 15% on your first PenGems order with code SIMPLYBYHEART. You can totally put a tag and ribbon on something ordinary and make it special. 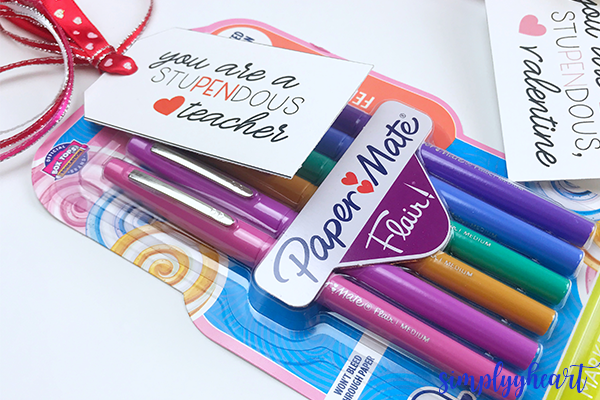 Aside from gifting PenGems pens, another favorite amongst teachers is PaperMate Flair Pens (Amazon/Target). Yep, teachers love these things! Writing lesson plans and grading papers isn’t exciting without a little color. This is also a great gift for the coworker that is always asking who took their pen. ? Here is an example of how an ordinary tag (download the free printable here) and ribbon makes this package special. Interested in this download for a Free Printable Gift Tag? Get it here!